Welcome back. Well, the process to replace a failed disk enclosure was long and tedious. 99.9% of the time was spent backing up 2 terabytes (2000 gigabytes) of data (twice), restoring it, and backing it up again. At long last we’re back on the air. Now we continue this year’s Outback trip ! 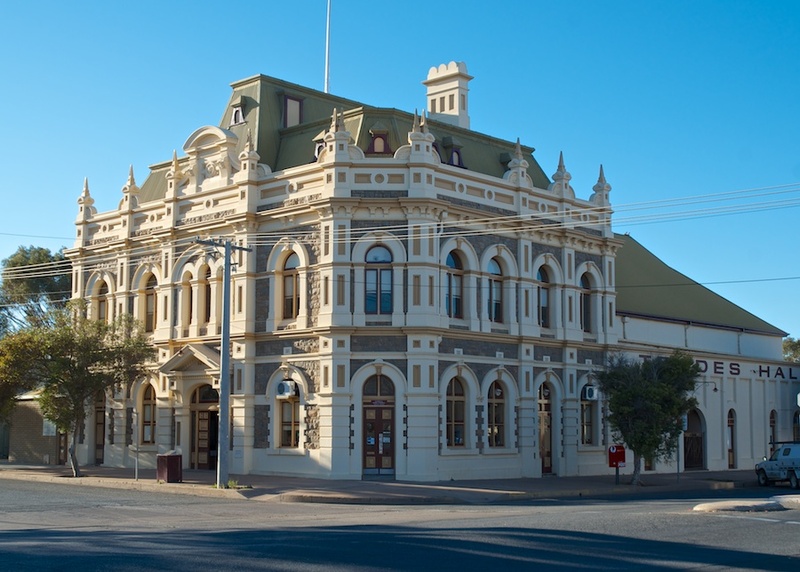 This striking building is the headquarters the labour union movement that had tremendous influence on the running of Broken Hill. I think Broken Hill is a great place and it’s partly the buildings like this that give is such character.